How to delete a website? How do I pay for my website? What is a Client Account? What is a Partner Account? 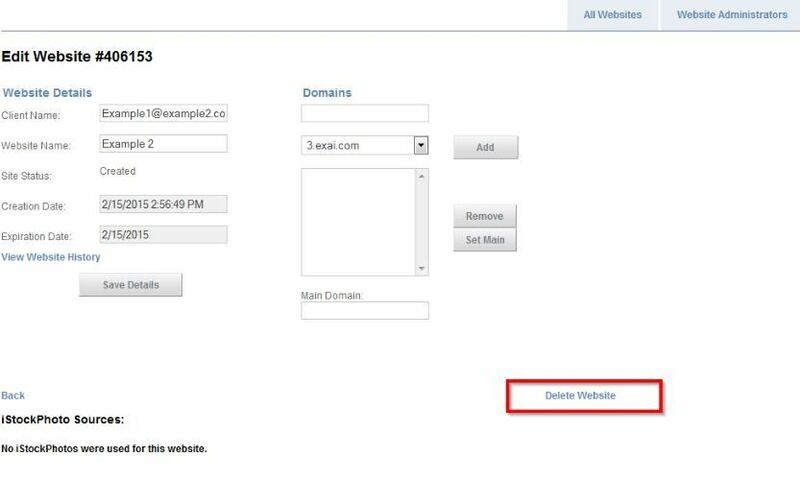 If you wish to delete a website, then this can be done within the technical section inside the CRM. The website will be deleted permanently. First, get into the CRM. Then, click on technical tab. Finally, just click delete. Step 1: From within the CRM, select TECHNICAL from the list of ACTIONS in CRM (in orange). Step 2: Wait to be redirected to the technical section before deleting your website. Step 3: Click delete website (in red).